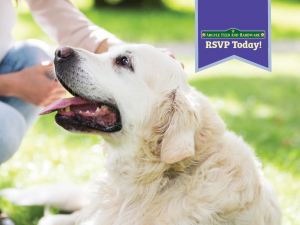 Come hear and learn about which pet foods can best address these issues with your dogs. Bring your questions for Q&A time. Each attendee will receive $5 off any bag of dog food purchased that evening. This entry was posted on Tuesday, October 25th, 2016 at 11:32 pm	and is filed under Events, News & Updates. You can follow any responses to this entry through the RSS 2.0 feed. Both comments and pings are currently closed.